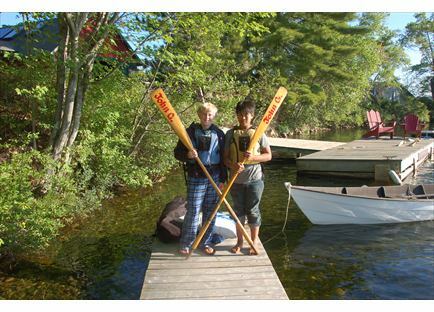 Our fleet of boats is used for recreation as well as education. We enjoy a day-long regatta once a summer that makes use of Pine Island's entire fleet. We also play Water Bemis several times a summer, a game that involves kayaks, canoes, ping-pong balls, and a lot of frantic paddling. Every evening after dinner we have Boats Out. Boys with proper rankings in waterfront activities may take out a boat during this time, but only within a limited area in clear sight of several assigned staff members. Boats Outs is a perfect opportunity for boys to get out on the water to enjoy evening on Great Pond.